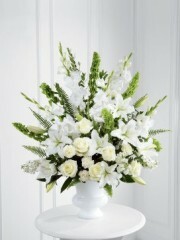 In the tragic event that someone close to you passes away or someone close to a loved one of yours, it is important to show your respects and to say goodbye to them for the last time at a funeral ceremony which is where Inverness Flowers step in and take all responsibilities concerning flowers. As this is such a difficult time for all those involved, Inverness Flowers can guarantee that we will provide you with nothing but the most dignified and beautiful bouquets and arrangements. 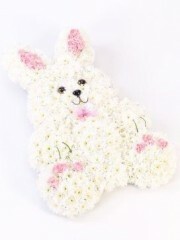 All the flowers used for your order have been directly imported all the way from Holland. We use Dutch flowers as Holland, a western region of the Netherlands, as they are known to be some of the best flowers in the world. Combined with up to four deliveries per week, not only are our flowers of the best quality but they are also the freshest with a high longevity so they will stay fresh and beautiful throughout the ceremony. 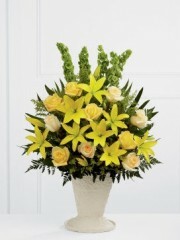 Up on the Inverness Flowers website, there is an entire collection dedicated to sympathy flowers including casket tributes, wreaths and special tributes. 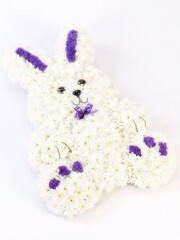 Our Inverness florists have over forty years of experience in the floristry industry under their belts which means sadly they have had to deal with countless funeral arrangements. Through this experience, we want you to be assured in the knowledge that skill and expertise has been poured into your orders. If you have any further queries regarding our services or wish to book a consultation to talk about possible options, then please do not hesitate to either drop an email or give the shop a ring. There is always a member of the team at Inverness Flowers available to answer any of your queries or to have a chat about floral possibilities for this sad occasion. 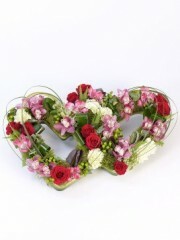 If there is nothing up on the Inverness Flowers website that quite catches your eye or you feel isn’t to your recipient’s taste, then do not worry as Inverness Flowers all customers the bespoke service. 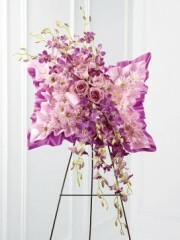 This service allows you to collaborate with the Inverness Florists to either alter elements of an arrangement - for example, swapping one type of flower for another - or you are able to create a completely new and unique arrangement. So, the bespoke service allows you to specify what flowers to be used; what flowers to avoid; colour preferences and what sort of finish you’re after. 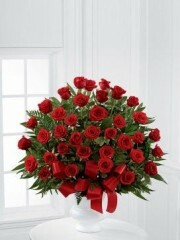 To specify about the ‘finish’, this is in reference to wether you would like a bouquet or an arrangement. the difference lies in how the flowers are gathered: a bouquet means that the flowers are wrapped up in complementary papers, tissues and ribbons which hold the bouquet together. 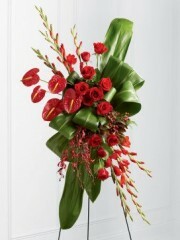 Another form of a bouquet is the hand-tied which usually has a cellophane bubble of water to keep the flowers hydrated which is thoughtful if you are sending the flowers to a bereaved family member or friend as they would not want to have to look after flowers while getting over a hard loss. In contrast, a flower arrangement is placed into either a vase; a box; a basket or even a cute little teacup depending on what sort of aesthetic you would like. 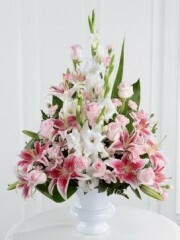 Once the Inverness Florists have all the details, they will arrange an elegant yet simple floral design for you that reflects all of your ideas. No matter how big or small your request may be, Inverness Flowers will always do everything within our power to provide our customers with bouquets worthy of you. If there is anything Inverness Flowers are able to do to help during this hard time, we will do everything we possibly can.